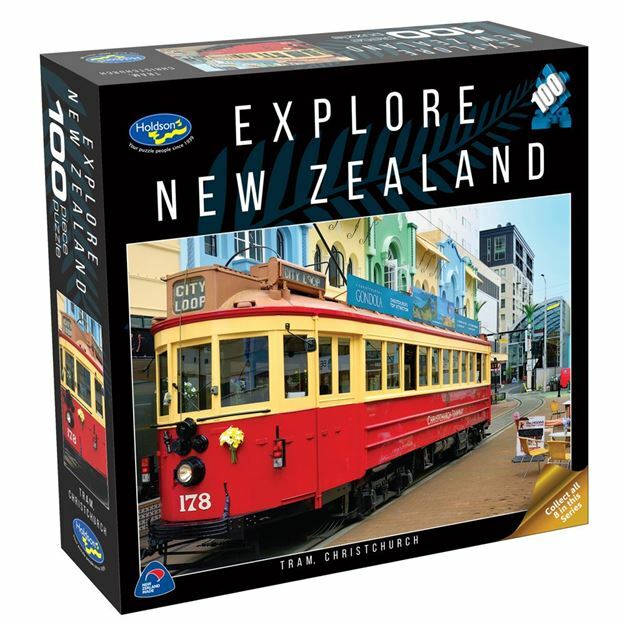 Well known photographer Bob McCree showcases his talents beautifully in this Holdson 100pc puzzle collection, Explore New Zealand. Titles include: Cape Reinga, Westhaven Marina, Government Gardens, Mt Ngauruhoe, Parliament Buildings, Tram, SS Earnslaw and Larnach Castle. Each design sold separately. Collect all eight designs. Age 8+ years. Made in New Zealand by Holdson. Approximate puzzle dimensions: 324mm x 229mm. Box size: 180mm x 180mm.